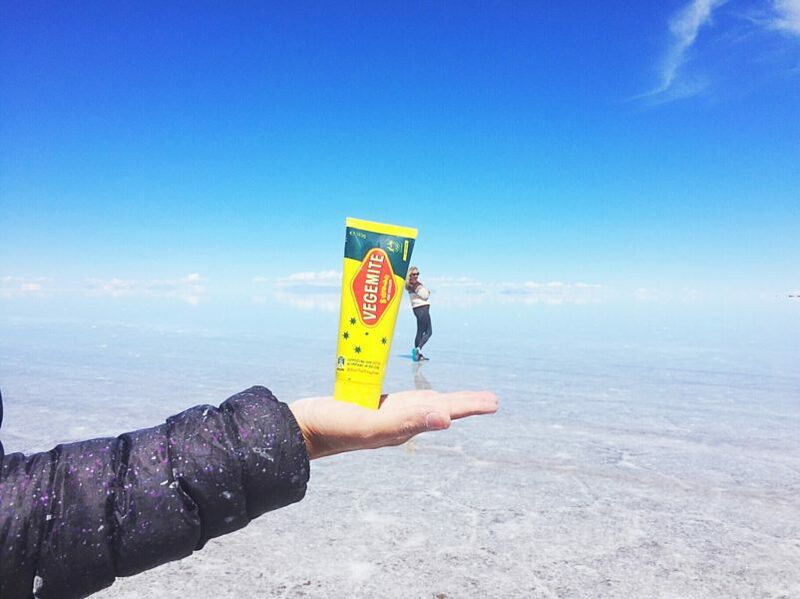 In the lead up to your morning on the Uyuni Salt Flats the nerves will start kicking in. 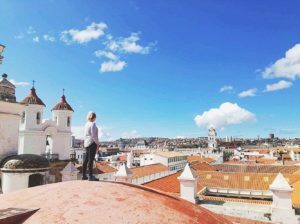 You’ve seen tones of incredible photos plastered all over Instagram and you want yours to be just as good, if not better. 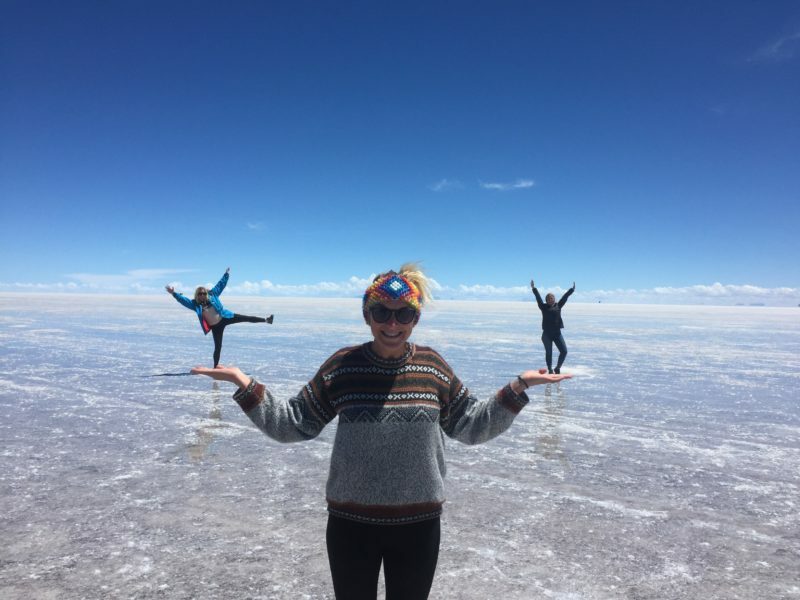 As you only have about 2 hours on El Salar De Uyuni Bolivia you need take advantage of every second. 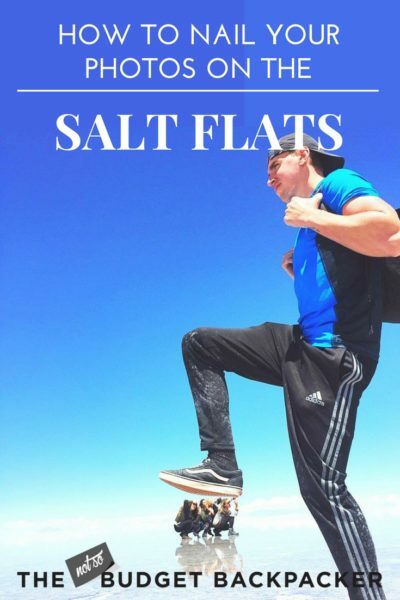 But never fear I’ve developed 7 handy tips to ensure you maximize your time and take incredible salt flats photography. Now this might sound a little too serious. You’re on holiday right? 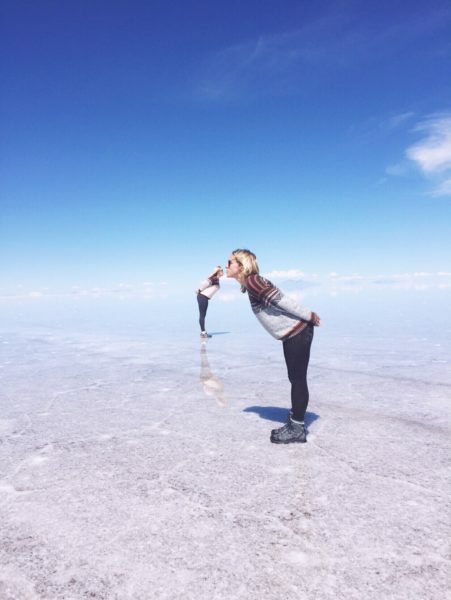 But research is actually an awesome way to find #inspo before you head to the salt flats. 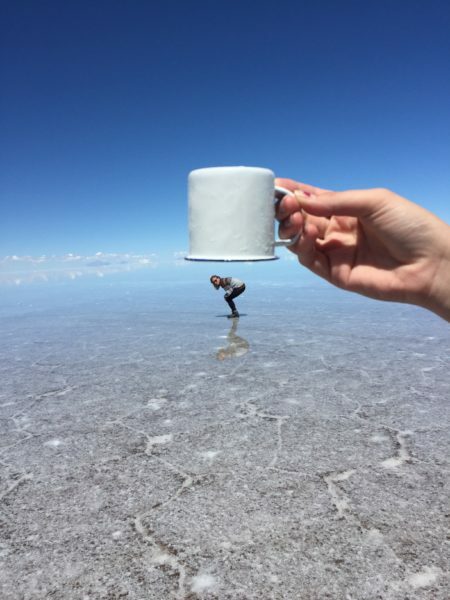 Check out the #saltflats and #salardeuyuni hashtags on Instagram, search Salar De Uyuni or Uyuni Salt Flats via the location tag and search Google Images. Then write down a list of shots (maybe 4/5) you know you can’t leave without capturing. 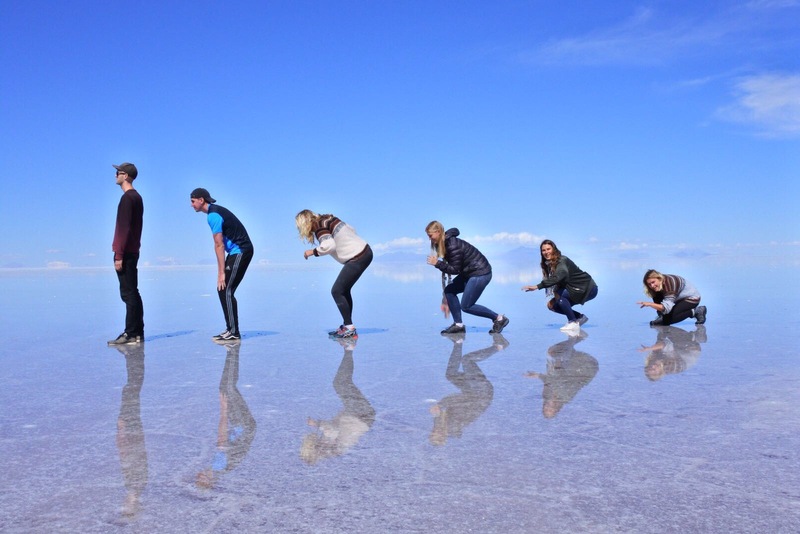 When visiting the Uyuni Salt Flats (or El Salar De Uyuni Bolivia) you’ll most likely be on a group tour. 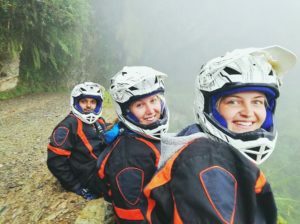 So once you’ve done your research, brainstorming further ideas with your group is a huge help. As it allows you to come up with more unique and quirky shots. 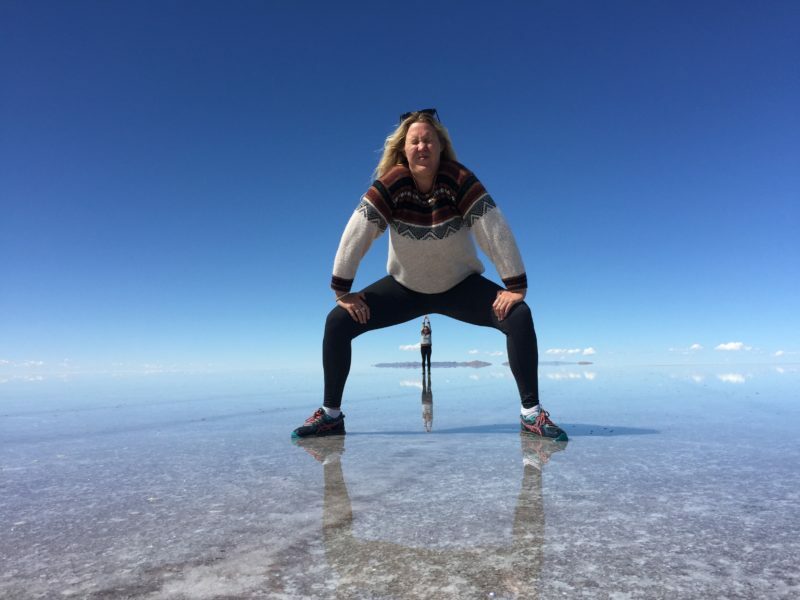 We had our brainstorm the night before we hit the salt flats over a couple of bottles of red, so it definitely doesn’t need to be too serious. Teaming up is really important. The best size is in groups of 3 or 4. 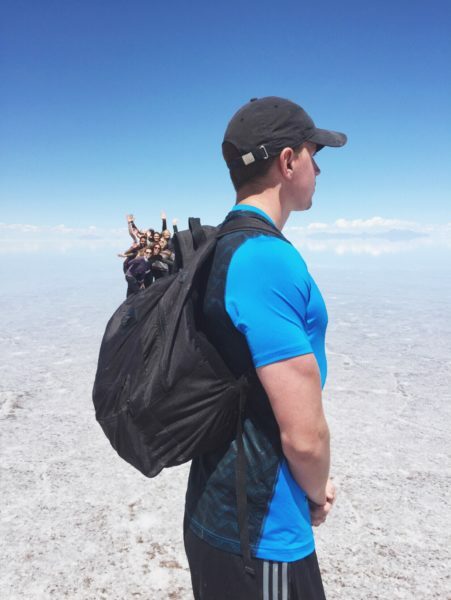 So you have one person taking the Salar De Uyuni photos and 2 or 3 people featuring. Then you can swap. Just make sure everyone is getting a fair go and everyone gets to capture the 4-5 images on their shot list. Being in a team is also great as you can split all of the props you want to bring between you. Speaking of props. They are super dooper important. Want that cool shot of you drinking out of a giant wine bottle or leaning against a tube of Vegemite? Then you’ve gotta make sure you’re organise. Think ahead and bring with you whatever you think you’ll need. Also if you completely forgot to bring anything with you props can be found anywhere. An empty can of Pringles or a bottle of beer look awesome on film. 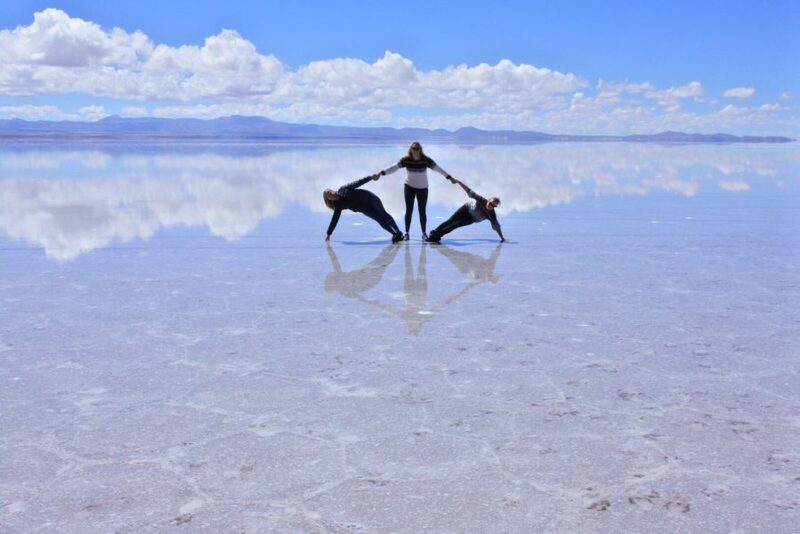 This was our most difficult task when taking salt flats photography. Getting the perspective right can take a hell of a lot of time. My biggest time-saving tip is to place your subjects in the frame and then angle the camera to line them up, rather than making them move. You’ll soon realise the slightest change of angle changes the perspective of the shot a hell of a lot. Also, for shots where you’re standing on top of something it’s sometimes easier to get someone in the foreground to hold the prop rather than placing it on the ground. Otherwise you’ll find yourself lying on the cold wet ground trying to get the angle right. Finally, the further away an object or person is, the worse it looks. So try to keep the two subjects together, while still getting that smaller v bigger look. The reflection is also really tough to find. And if the weather isn’t right or your facing the wrong way, you’ll find you it’s impossible to get that beautiful reflective shot. 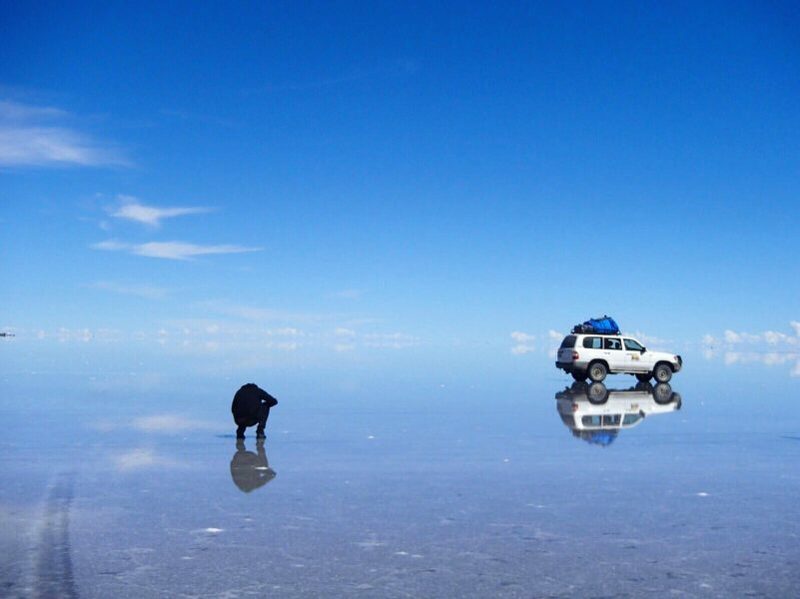 First thing to note is that the further away you are, the better the reflection is. Secondly the placement of the sun is super important. If you stand with the behind you, you’ll find you get a much better reflection. 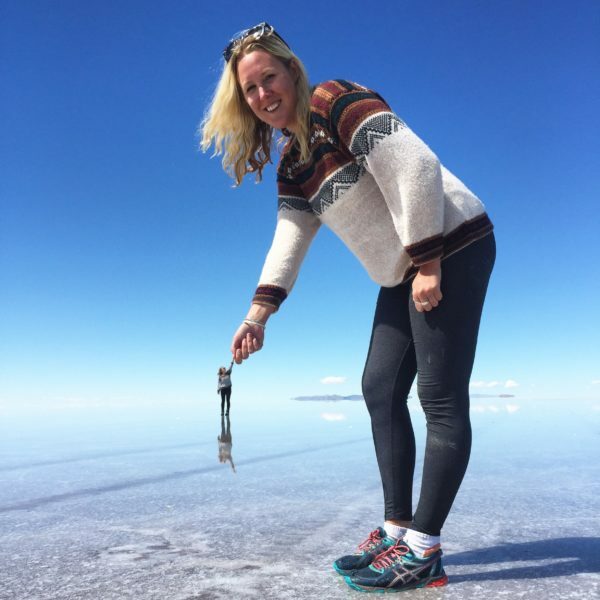 One thing to note is, sometimes it’s actually impossible to get reflective images on the Uyuni Salt Flats if there hasn’t been enough rain. So don’t beat yourself up if it’s not possible. So I’m going to cut your research time down by half and give you some awesome ideas to start you off. 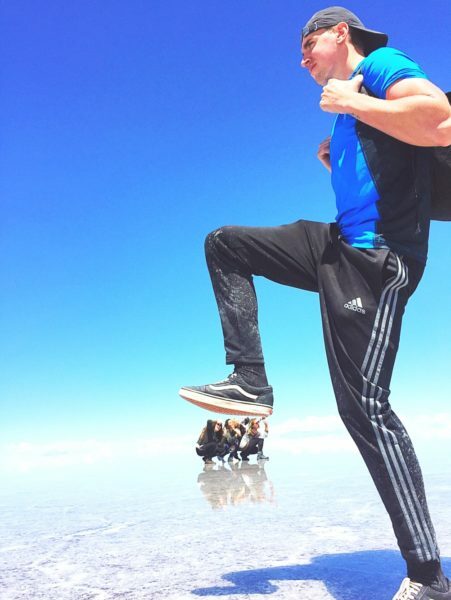 want more of bolivia? Check these out!